The beautiful spaces at H&F Fine Arts next present concurrent solo shows of works by Alan Binstock and Joan Belmar. Both artists’ work explores the circle of life and construct dialogue assessing the parallels of three dimensional abstract structures and human life. Belmar’s own rich work will serve as a layered backdrop to the translucent sculptures created by Binstock, whose work explores the forms that express or reflect the sacred, the inner life and varied manifestations of the micro and macro worlds. 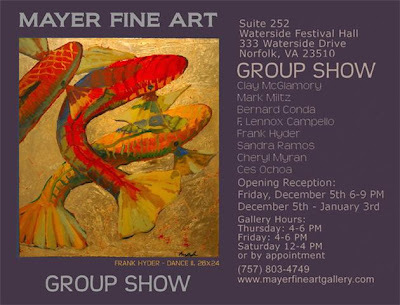 Opening reception: Saturday, December 6 from 5-8pm.